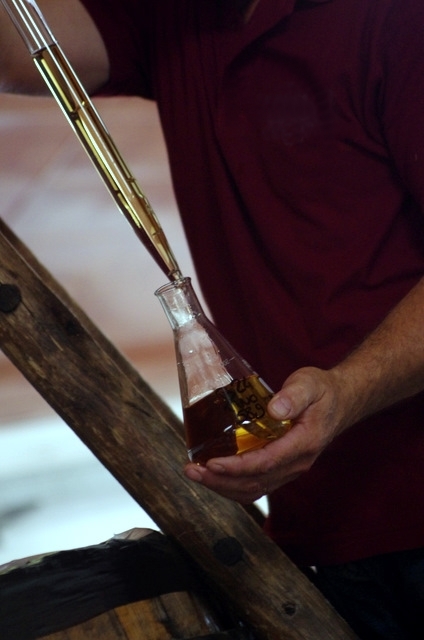 Due to some insoluble oily substances present in the distillate, the addition of water makes it opaque. In order to give the Grappa its characteristic crystalline and clear appearance, filtering is carried out, which eliminates such insoluble components. To facilitate this filtration, the Grappa is refrigerated, bringing it to a temperature usually of between -4°C and -15°C, then proceeding with the actual filtration. After filtering, the Grappa is ready for bottling.